Founded in 1921 by John Henry Kirby, a member of the Houston, Texas business community. The company was Initially formed as the Kirby Petroleum Company, an oil and gas exploration and development company. In 1948, a group of investors, including George Peterkin, Sr. The father of Kirby's Chairman Emeritus, George Peterkin, Jr., acquired the River Terminals Corporation. A transporter of petroleum between Houston and New Orleans, and cotton down the Mississippi River to New Orleans. This company eventually became Dixie Carriers Incorporated. Which was acquired by the Kirby Corporation in 1969, but operated under that name as a subsidiary of the Kirby Petroleum Company. The Kirby Petroleum Company operated as a Houston, Texas based, independent, oil and gas exploration, and development company. In 1956, after the sale of its producing properties. The remaining non producing acreage was merged with three other independent oil and gas companies to form Kirby VenSyn Petroleum Company. A publicly traded company. The Kirby VenSyn Petroleum Company changed its name to the Kirby Petroleum Company in 1957. And adopted the name Kirby Industries Incorporated in 1967. In 1974, with the underlying value of Kirby Industries assets substantially higher than the stock price, the Board of Directors adopted a plan of complete liquidation. The oil and gas producing assets of Kirby Petroleum, and the assets of Kirby Building Systems were sold. In 1987, after an extensive study. The Kirby Board of Directors determined that the future of Kirby should be concentrated on marine transportation, and related activities. In April 1988, the oil and gas assets were sold and Kirby embarked on its marine transportation strategy. In 1990, the name of the company was changed to Kirby Corporation, retaining the Kirby identity as a publicly traded company. During the late 1980's and early 1990's, under the guidance of Joseph H. Pyne, Kirby's President and Chief Executive Officer. The Kirby Corporation expanded from a medium-sized inland tank barge company. To a diversified marine transportation company. Offering transportation services in both inland, and offshore arenas. As well as, Kirby Engine Systems to marine and non-marine users. During that time, the Kirby Corporation acquired Alamo Inland Marine Company. The Brent Towing Company Incorporated, Sabine Towing and Transportation, Ole Man River Towing Company, Scott Chotin Incorporated, AFRAM Carriers Incorporated. And, the transportation assets of Dow Chemical Company, as well as numerous other smaller inland, and offshore transportation acquisitions. In late 1997, the Board of Directors reassessed Kirby's business strategy and adopted a strategy to focus on core inland tank barge and diesel engine service businesses. In 1998, Kirby sold its offshore tank barges, and ships, harbor tugs, remaining forty five percent ownership interest in Universal Insurance Company, and changed the name of Dixie Carriers Incorporated, and Kirby's other marine transportation subsidiaries to Kirby Inland Marine. In October 1999, Hollywood Marine Incorporated was merged into Kirby Inland Marine. Combining the nation's largest and third largest inland tank barge companies. Hollywood Marine, like Kirby, had a long history in the inland tank barge business. Growing through a series of acquisitions, including Alamo Barge Lines in 1985, as well as through tank barge construction. Hollywood Marine was owned by C. Berdon Lawrence, who became Chairman of the Board of Kirby following the merger. 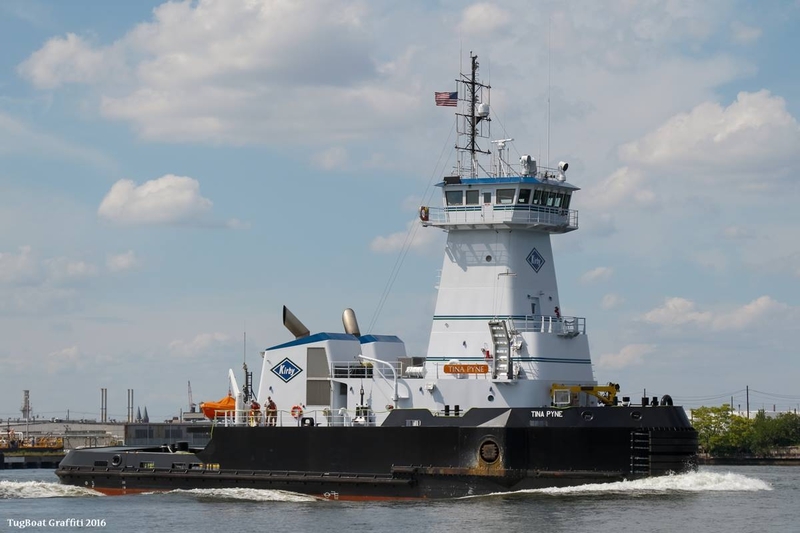 During 2002, Kirby continued its strategy of external growth with the purchase of the Cargo Carriers fleet, Union Carbide fleet, and part of the Coastal Towing fleet, with a management agreement for the remaining Coastal fleet. In 2003, Kirby acquired the SeaRiver Maritime fleet. The United States transportation affiliate of Exxon Mobil Corporation. In 2005, Kirby acquired the black oil fleet of American Commercial Lines Incorporated. In 2006, the company purchased the remaining Coastal Towing Company fleet. And, in 2007, and 2008. 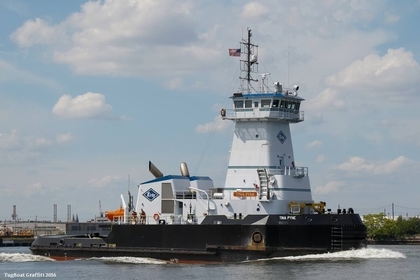 The Kirby corporation acquired previously leased barges from the Cypress Barge Leasing Company, Midland Marine Incorporated, as well as Siemens Financial and OFS Marine One. During the 1990's and 2000's, the Kirby Corporation also grew its diesel engine services business through a series of fourteen acquisitions, the largest of which was Global Power Holding Company in 2006. Global Power was a Gulf Coast high speed diesel engine services provider. Operating full service marine dealerships for Caterpillar, Cummins, Detroit Diesel, as well as John Deere high-speed diesel engines, and Allison Transmission. The 2011, Kirby acquired a fifty one percent interest in a barge shifting, and fleeting facility on the Houston Ship Channel. And, acquired twenty one tank barges, and fifteen towboats, and tugboats primarily engaged in the ship bunkering trade in Florida. In April of 2011, then company acquired United Holdings, a distributor and service provider of engine and transmission related products for the land based oil and gas services, power generation, and on highway transportation industries. The company was also a manufacturer of oilfield service equipment. In July of 2011, the Kirby Corporation acquired the K-Sea Transportation Partnership of East Brunswick, New Jersey. An operator of tank barges, and tugboats. Participating in the coastal transportation of primarily refined petroleum products along all three United States coasts. And, in Alaska as well as Hawaii. In December of 2011, the company acquired three, 80,000(bbl), coastal, tank barges. And, three tugboats. From SeaBoats Incorporated of Portsmouth, Rhode Island. In 2012, the Kirby acquired the Allied Transportation Company of Norfolk, Virginia. Later in 2012, the company acquired Penn Maritime Incorporated of Staten Island, New York.